Since 2009, Business Insight 3 (Bi3) has been supplying new and innovative security and retail solutions to customers throughout the UK and Ireland. Specialising in offering ‘Best in class’ solutions to meet modern security challenges, Bi3 look to further enhance this by building strong, strategic partnerships with complimentary businesses. 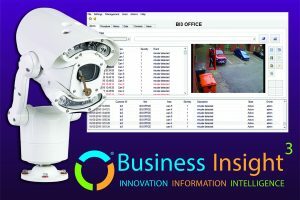 Bi3 enjoy the benefits offered via a close technical relationship with leading UK CCTV design and manufacturing company, 360 Vision Technology. After rigorous testing to ensure compliance with the relevant standards, the DAVANTIS video analytics product has been certified i-LIDS High Security Level 3 approved primary detection system, for operational alert use in sterile zone monitoring applications (2009). Issued by the Home Office Centre for Applied Science and Technology (formerly CPNI), this certifies the DAVANTIS video analytics solution for sole source use for detection at Government facilities. The DAVANTIS product has also received Secured by Design (SBD) Accreditation, meeting both the Police Approved Standards and Police Preferred Specification. DAVANTIS has the ability to centrally analyse all types of video streams and alert/react on a series of varied preset rules. DAVANTIS can detect and reduce crime through the use of highly intelligent and focused algorithms to maximise the full detection and prevention capability of standard CCTV systems.